The editors and distinguished contributors cover a wide range of vital topics that superintendents face from the day they are hired to the day they retire, such as how superintendents can most effectively communicate their vision, plan strategically, institute instructional reform, engage the community, and allocate resources. The book is filled with illustrative examples of well-known superintendents who are trailblazing new means to achieve educational fairness for all children and are changing the landscape of urban school systems today. 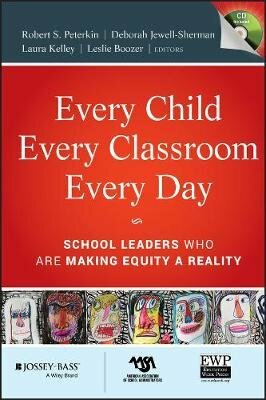 In addition, "Every Child, Every Classroom, Every Day" highlights the Urban Superintendents Program's Leadership Framework, which is designed to aid administrators and educators in decision making and achieving equity. An ancillary CD containing teaching notes and exhibits is also included (in the print edition only) as an aid to teachers who wish to scaffold material discussed in the text. Co-published with "Education Week" and the American Association of School Administrators.